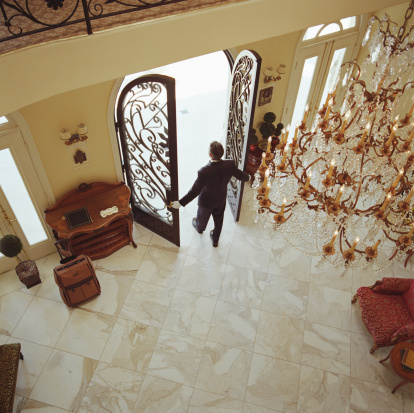 Marble thresholds are one special way to add a little extra something to the transition point between rooms in your house or just as a way to bridge the gap between two different flooring materials. 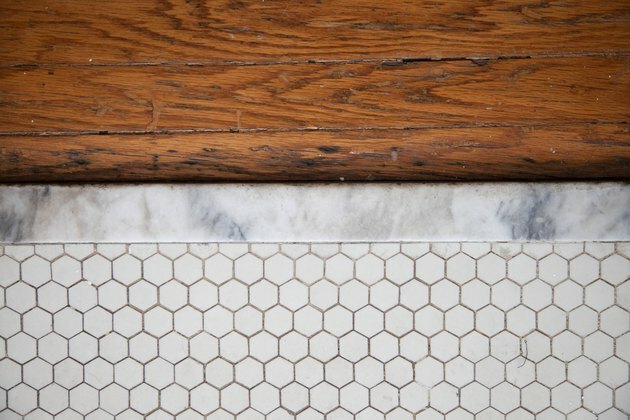 Marble thresholds used to be expensive. These days, however, you can find them at any flooring store, which means you can add the beauty of natural stone to any transition point in your house. 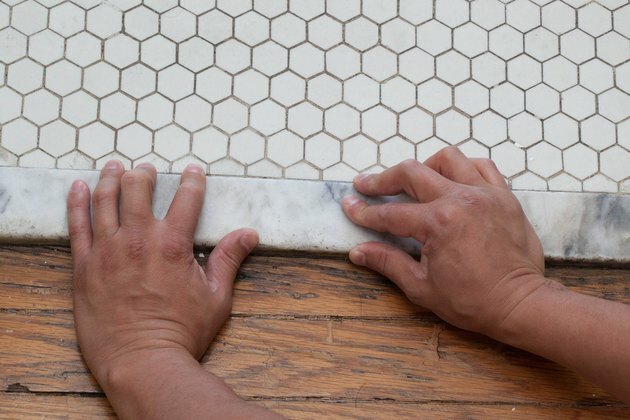 Use your tape measure to check the width of your doorway prior to going to the store to pick up your marble threshold. 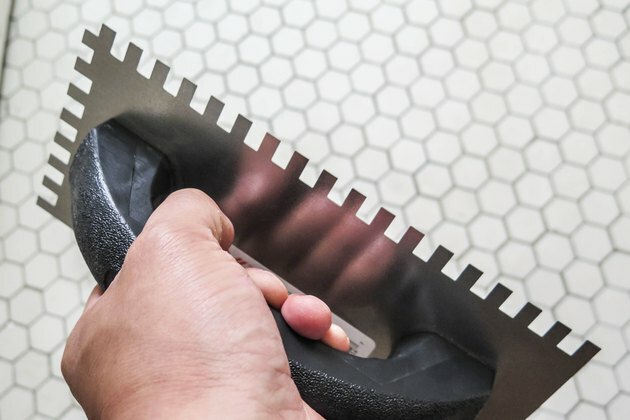 While most thresholds are sold in pre-determined sizes that fit most standard doors, you may need to request the store cut any excess off if you happen to have a non-traditional transition point. 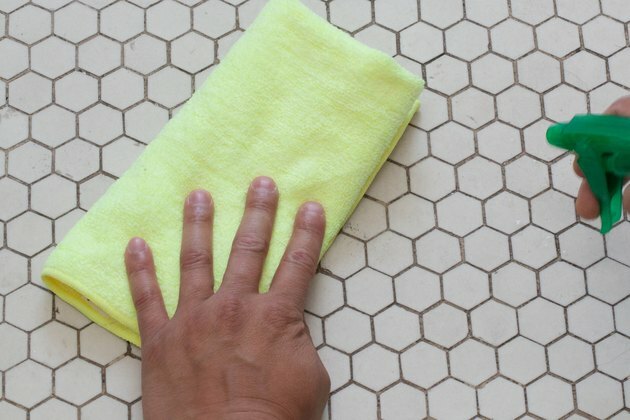 Clean the area where you will be installing the marble threshold completely with a broom. Make sure no particles are left which could cause issues with the bond between the threshold, the adhesive and the substrate. Use your 1/4-inch notched trowel to spread an even layer of thinset in the area where you will be installing your threshold. In addition, use the flat side of your trowel to skim-coat the back of your marble threshold with an even layer of thinset. This layer does not need to be thick; rather, it should only be a skim coat just thick enough to cover the back of the marble. Set the marble threshold in place. Apply light pressure and move the threshold slightly in all directions while maintaining gentle pressure. Once you are satisfied that the threshold has a proper bond with the thinset beneath, allow it to dry for a minimum of 24 hours before allowing any foot traffic. Heavy traffic should be avoided for a minimum of 72 hours. How Much Space Do You Leave for a Laminate Flooring Transition Molding?